in the best interest of the nation. No genuine leader of the legislature will be comfortable that the Presidency will simply write a terse letter to the National Assembly on key issues which the federal legislature is expected to later deliberate upon and give its approval. The Buhari administration consistently treats the legislature with contempt and acts as if the lawmaking body should be an appendage of the Executive. To me, this is unacceptable. In the same way, I find it very objectionable that many stakeholders who worked strenuously to get the administration into office have now been excluded in the government and not consulted on key decisions as necessary and expected. In fact, some of them are treated as pariahs. A party that ignores justice, equity and inclusion as basic pre-conditions for peace, unity and stability cannot sustain its membership and leadership. Let me redirect the attention of the former Governor of Lagos State to the aspect of my July 31, 2018, statement announcing my exit from APC in which I emphasized that the decision "has been inescapably imposed on me by certain elements and forces within the APC who have ensured. ”that the minimum conditions for peace, cooperation, inclusion and a general sense of belonging did not exist". In that statement, I further noted that those APC elements "have done everything to ensure that the basic rules of party administration, which should promote harmonious relations among the various elements within the party were blatantly disregarded. All governance principles which were required for a healthy functioning of the party and the government were deliberately violated or undermined. And all entreaties for justice, equity and fairness as basic precondition for peace and unity, not only within the party, but also the country at large, were simply ignored, or employed as additional pretext for further exclusion. The experience of my people and associates in the past three years is that they have suffered alienation and have been treated as outsiders in their own party. Thus, many have become disaffected and disenchanted. At the same time, opportunities to seek redress and correct these anomalies were deliberately blocked as a government-within-a-government had formed an impregnable wall and left in the cold, everyone else who was not recognized as “one of us”. This is why my people, like all self-respecting people would do, decided to seek accommodation elsewhere". Tinubu himself will recall that during the various meetings he had with me at the time he was pursuing reconciliation within the APC, I raised all the above issues. I can also vividly recall that he himself always expressed his displeasure with the style of the government and also mentioned that he had equally suffered disrespect from the same government which we all worked to put in office. I also made the point that whatever travails I have gone through in the last three years belong to the past and will not shape my decisions now and in the future. in a manner that will enable us to deliver the positive changes we promised to our people, he (Tinubu) expressed a strong opinion that he would rather 'support a Buhari on the hospital stretcher' to get a second term because in 2023, power will shift to the South-west. Tinubu will rather live with the identified inadequacies of the government for the sake of fulfilling and preserving his presidential ambition in 2023. 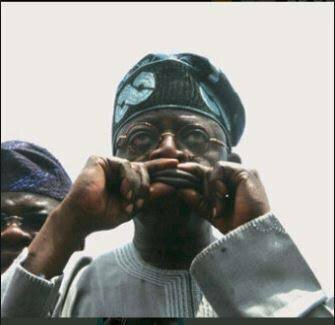 This new position of Tinubu has only demonstrated inconsistency — particularly when one reviews his antecedents over the years. I immediately rebutted their claims and categorically stated that I never discussed any such personal and pecuniary benefits with anybody. My challenge that anybody who has contrary facts should come forward with them still remains open. It should be known that Democracy is a system that allows people to freely make their choices. It is my choice that I have decided to join others to present a viable alternative platform for Nigerians in the coming elections. Tinubu and leaders of the APC had better respect this decision or lawfully deal with it. As for me, Allah gives power to whom He wishes. Human beings can only aspire and strive to fulfill their aspirations. Welcome to a new Legislative Day in the Senate of the Federal Republic of Nigeria! 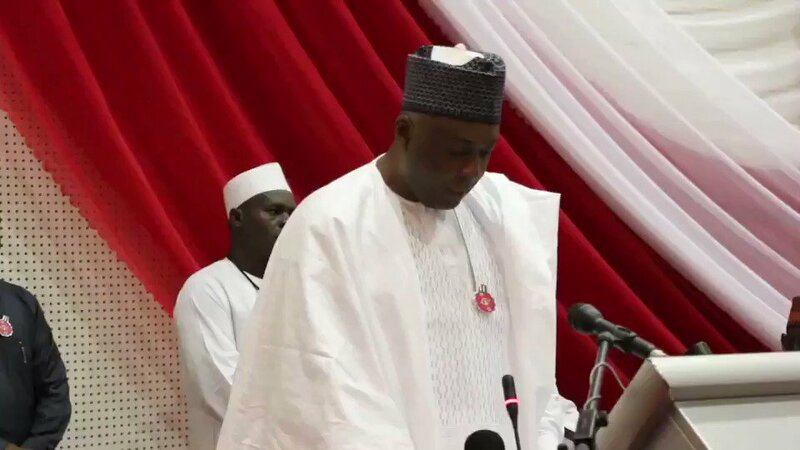 Senate President, @bukolasaraki leads the Principal Officers into the chambers; takes the official prayers; and begins the day’s proceedings at 11:09am. Senate moves into an Executive Session at 11:12am. It is important to note that there’s “No date for National Assembly reconvening on INEC Budget” yet. especially asas it concerns the consideration of the Independent National Electoral Commission (INEC) 2019 elections budget request forwarded by President Muhammadu Buhari on July 17, 2018. 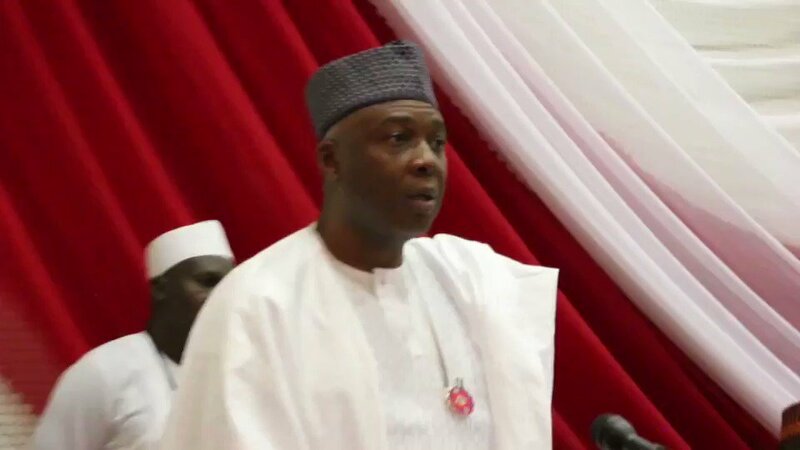 #Thread: Today, the President of the Senate, Dr. Abubakar Bukola Saraki, addressed the Federation Council of Russia, at the invitation of its Chairperson Valentina Matviyenko.